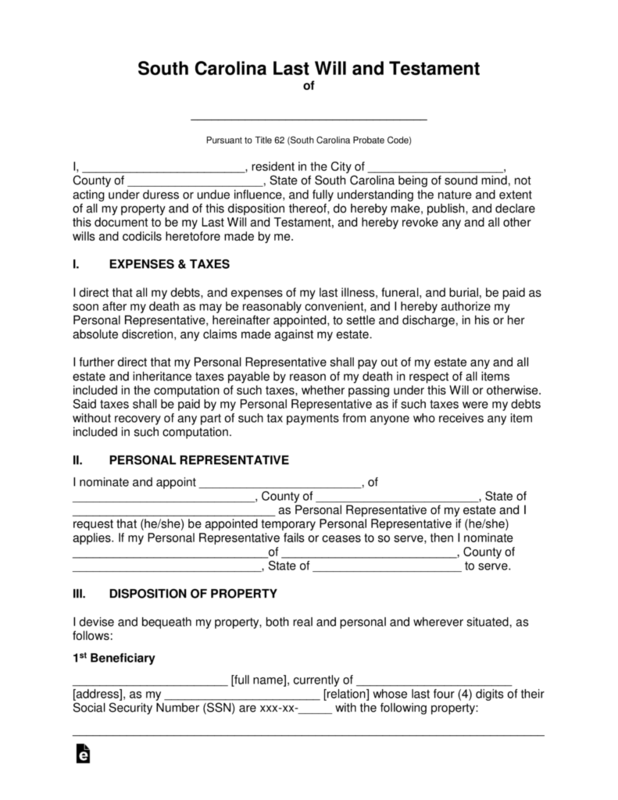 The South Carolina last will and testament is a document that is put into place by a testator to ensure that an appropriate process is exercised to continue to protect their families and assets upon their death. 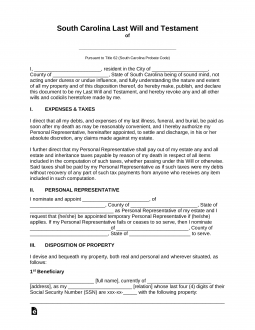 With this document, a testator would be able to assign an executor to properly distribute their personal and real property, fiduciary assets among others to be certain that all assets would continue to benefit those beneficiaries they name, as they always have. The testator would not only be able to distribute continued protection to their families but also would be able to offer final donations to various educational, charitable and/or research organizations. Upon completion, the document must be signed by two witnesses and again witnessed by a notary public. Signing (Section 62-2-502) – Must be signed by the Testator and by Two (2) or more individual Witnesses. Step 7 – Notarization – Once the testator has completed the document, all signatures shall be witnessed and acknowledge of a state notary public.